Cafe Steinhof | Oh No! Not Another NYC Food Blog! 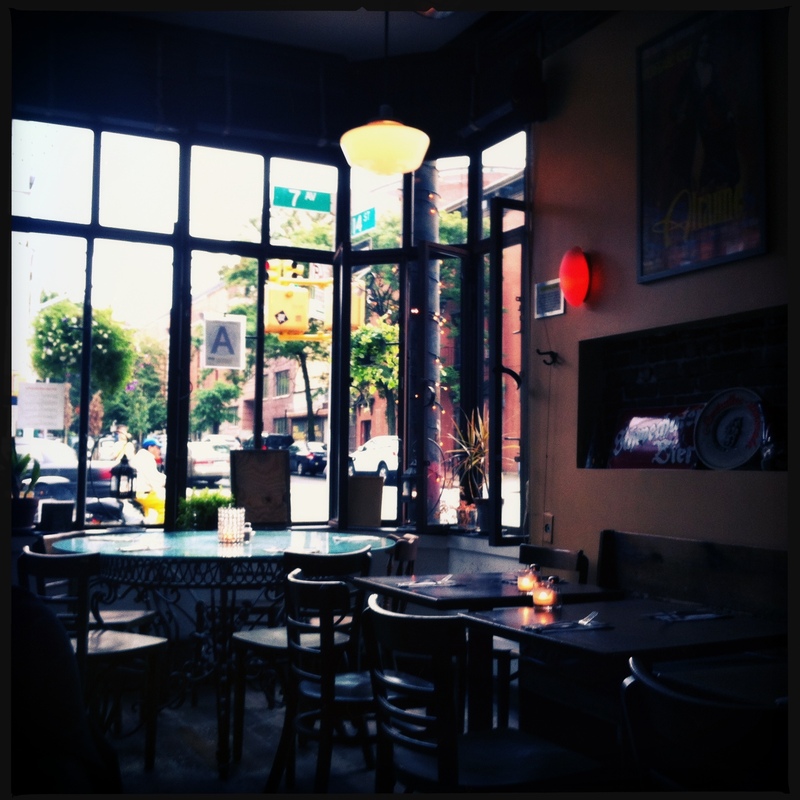 Artsy little Austrian cafe & beer spot in Park Slope. I had the Seafood Ragout – a nice hearty yet light bowl of mixed seafood and vegetables in a creamy white broth. This dish was light enough to enjoy in the summer, but would warm your bones in fall. A solid choice. My DH had the Bratwurst with Lentils and Potatoes – decent sausage, nice buttery potatoes & solid lentils. A good dish, also multi-seasonal. Kitschy with artsy posters in English & German. 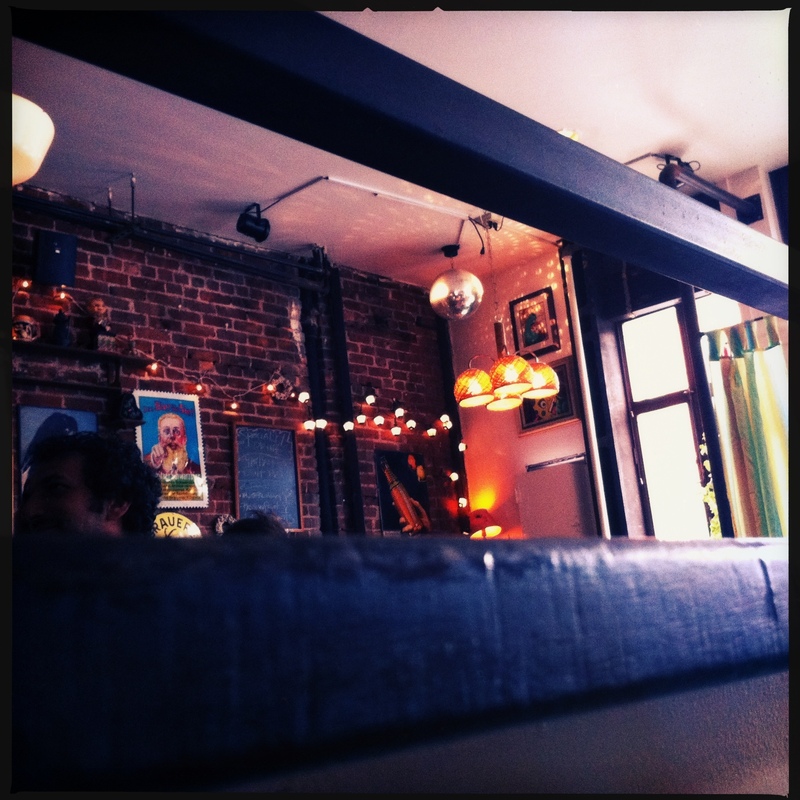 Not a bad little cafe. They also have movie nights, which look kinda cool. My enjoyment of this place was tempered by trying to restrain myself from popping a bar patron on the nose – he left his dog outside while he and his kid ate – close enough to the door that the poor dog had nothing to distract himself from the fact that his people were just inside the door. He kept trying to make it in the door, getting hit with it in the process. Needless to say, this whole scene was distracting for fellow patrons.